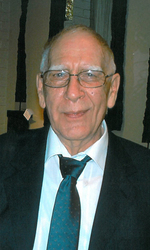 Funeral Services will be held at 2:00 pm on Friday, July 11, 2014 in the Delhomme Funeral Home Chapel of the Flowers for Frederic Oscar Daspit, 83, who passed away on Tuesday, July 8, 2014 at 6:12 pm at Lafayette General Medical Center. Burial will take place in Lafayette Memorial Park Mausoleum. Frederic, a resident of Lafayette, LA was the son of the late Andrew Daspit and the former Luzima Segura. Fred Daspit graduated from USL in 1956 with a bachelor’s degree in Art Education and received his MFA in 1957 from LSU. He did advanced studies at Colorado State University, Salzburg College in Austria, and Florence, Italy. Fred served in the Air Force from 1948-1952 as a parachute rigger during the Korean War. Always the artist, he helped create the new insignia for the Missile Test Center. His duties included rigging and testing parachutes. July 13, 1952 Fred married the love of his life, Jeannine Eastin, and began his long teaching career as an art and architecture professor at USL. There he created a new course: History of Louisiana Architecture. Since no adequate text existed for this course, he intensively researched the subject, along with his wife and students, to produce three volumes of Louisiana Architecture (Center for LA Studies). He received the Amoco Award for teaching in 1987. Fred was loved by thousands of students for his enthusiasm, passion for the arts, gentle spirit and breadth of knowledge. 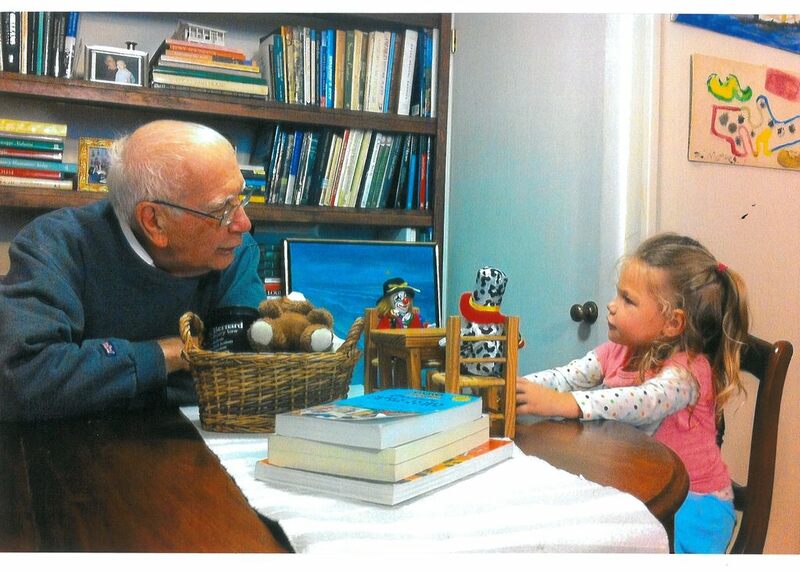 He genuinely loved his students and promoted and encouraged their pursuits. Fred was the first curator of the University Art Center and actively supported bringing art and artists to the community. His involvement included: bringing international artwork to local schools in partnership with Lafayette Junior League through Art for Youth, a mobile museum he created. He voluntarily restored artwork in the community in the aftermath of hurricane Katrina free of charge. Fred also restored statues for churches including St. Martin de Toures in St. Martinville and Our Lady of the Lake in Delcambre. After retirement, he continued his artistic passion by doing faux finishes for interior designers in Lafayette. Always evolving as an artist, at the age of 74, he started creating wood sculptures he called “reliquaries”. In 2013 he was selected as the visual artist for the Festival International de Louisiane. Even at age 83, and with his eyesight compromised by macular degeneration, he produced an average of 30 pieces a year for the last 9 years. Everyone has their favorite “Fred Daspit story”. Please share yours. He is survived by his loving wife of sixty-three years, Jeannine Eastin Daspit; his children, Lauren C. Daspit and husband Steve Montgomery, Alysia D. Kobetz and husband Phil, Stephen E. Daspit and wife JoEllen, and Gregory L. Daspit; his grandchildren, Brittany Powers and husband Mike, Philip Daspit and his wife Hailey, Colin Montgomery, Madeleine Daspit, Elizabeth Kobetz, David Kobetz and Michael Kobetz; his great grandchildren, Aurora, Jack and Jett Powers, Manon Daspit and Avery Touchet; and his brothers, Willard Daspit and his wife Izzie, and Raymond Daspit and wife Dot. He was preceded in death by his parents, his sister Beranger Theriot, and his brother Robert Daspit. The family requests that visiting hours be observed at Delhomme Funeral Home on Bertrand Drive on Friday, July 11, 2014 from 10:00 am until time of services. Pallbearers will be Phil Kobetz, Steve Montgomery, Philip Daspit, Colin Montgomery, Mike Powers, David Kobetz and Michael Kobetz. In lieu of flowers, the family requests memorial donations be made in Frederic O. Daspit''s name to the Paul & Lulu Hilliard University Art Museum. To make a donation call 337-482-0817. Please share your memories of Frederic.